iPhone owners 'happier to pay online', says survey | What Hi-Fi? The survey shows a big difference in the willingness to pay for content such as TV shows and movies between people who own an iPhone and those who don't. Olswang surveyed 1000 adults and 500 13-to-17-year-olds about their digital habits. Consumers are most likely to pay for film and television content. The survey revealed that 58% of people would pay to access online a film just released in the cinema, 52% would pay for access to a film that will not be on DVD for at least two months and 40% would pay to access a film which is already on DVD or pay-TV. 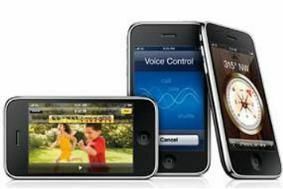 The figures for iPhone users are even higher, at 73%, 67% and 54% respectively. Consumers say they're also willing to pay for some services which are currently free, with 30% of the online population saying they would pay for seven-day catch-up TV – and 41% of iPhone users said they would make a micropayment or set up a subscription to pay for catch-up TV. But selling news content online remains a tough challenge. Only 19% of general online users and 30% of iPhone owners said they'd be willing to pay for a newspaper article or column online.